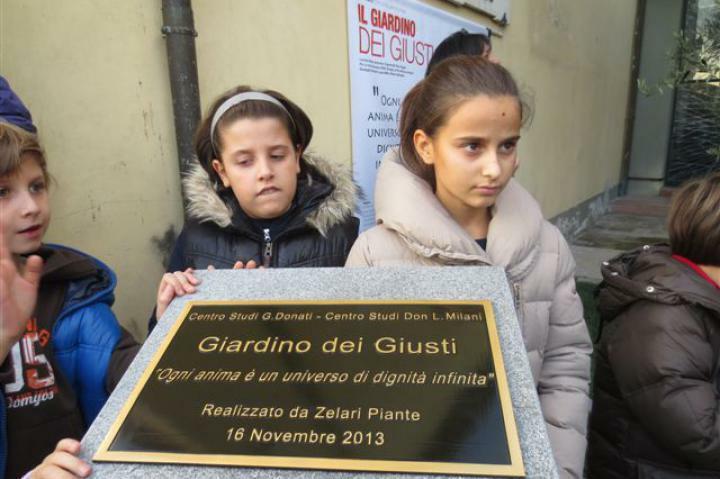 On 16 November 2013 the Garden of the Righteous of Pistoia was inaugurated near the Church of Santa Maria Maggiore in Vicofaro. 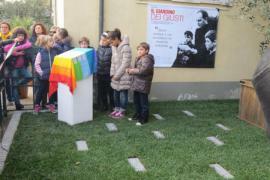 The Garden consists in a small green area, a big olive tree and the commemorative stones in honor of ten Rghteous. 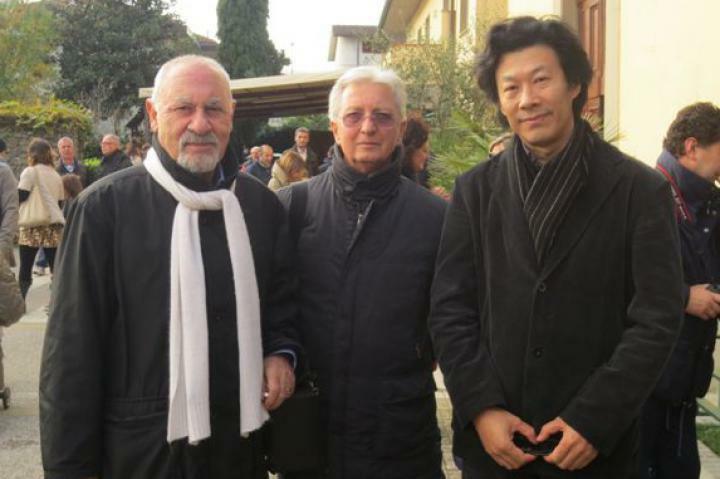 The initiative was organized by Centro Studi Giuseppe Donati and Centro di Documentazione e di Progetto Don Lorenzo Milani. 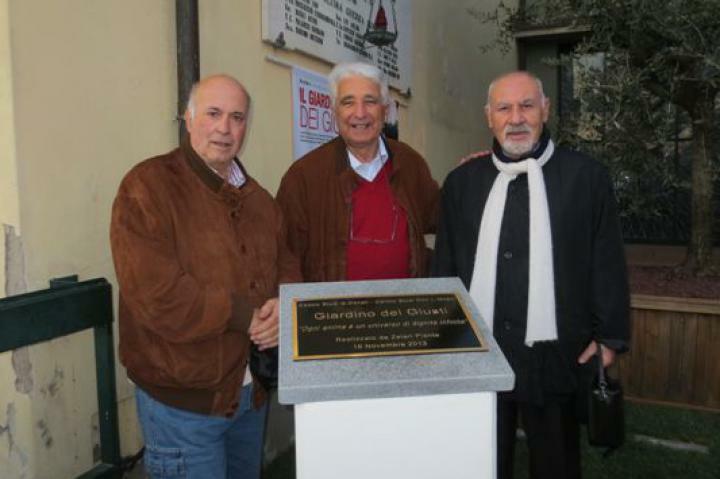 The civil authorities, some relatives of the Righteous, Pietro Kuciukian and Anna Maria Samuelli, co-founders of Gariwo, italian and foreign guests and many students took part in the ceremony. The project of the Garden aims at connecting to each other believers and non believers through the moral example of those who kept united in their effort to promote the ideals of justice, solidarity and truth, despite their differences. "The Righteous who are honoured today belong to us and our future. 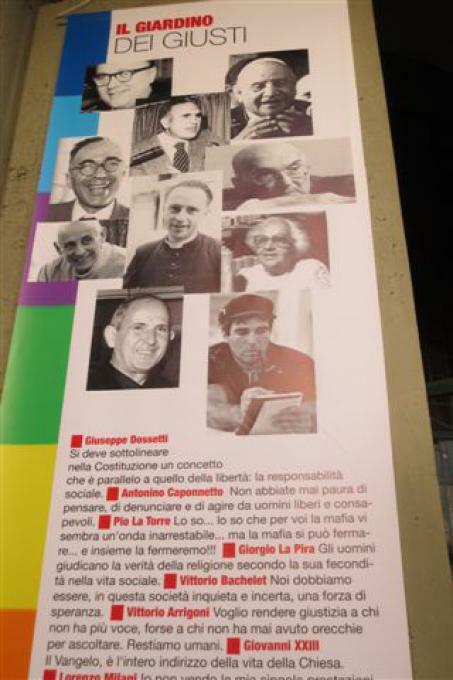 The Righteous are not only those who say 'No' to evil, but also those who can lead society to the good", said Mauro Matteucci from Centro di Documentazione Don Milani.